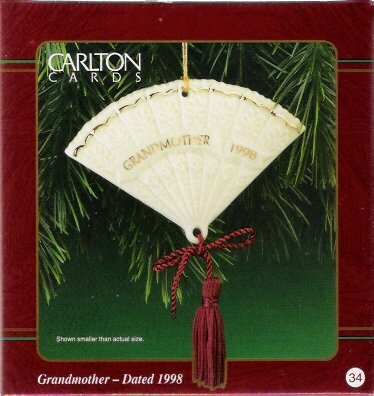 Carlton's Grandmother Dated 1998 #34 holiday ornament. Limited edition. Nice antique fan design. Mint-in-the-box. Originally issued at $12.95 U.S. and $15.95 Canada.